C470 (51328 & 51313) pass Portskewett (between Newport and Chepstow) with the 10:54 Newport to Chepstow service on 4 September 1986. C470 had slightly less than a year left in traffic, and had already lost its centre car (59478) when this picture was taken. Both the vehicles seen here ended their days at Mayer Newman, Snailwell in 1988. 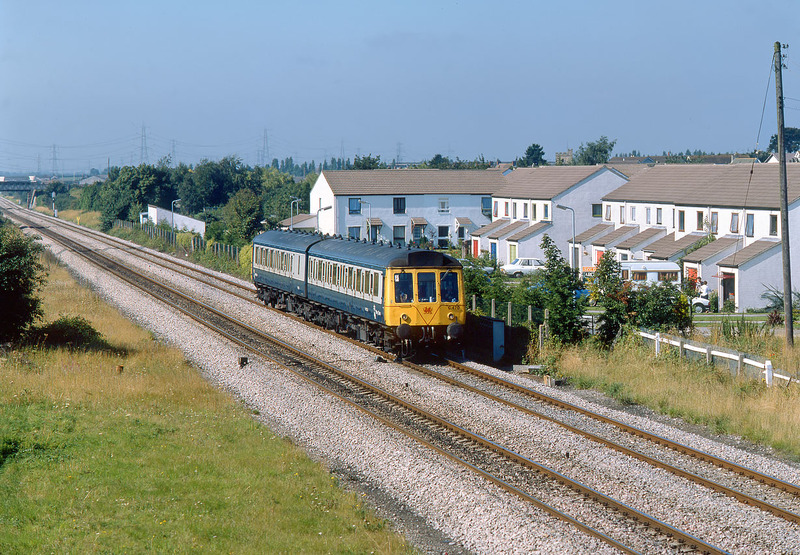 At this time various Welsh allocated units were enlivened with the Welsh Dragon on the yellow front end, along with a thin red line recalling the original 'speed whiskers' of the 1960s.